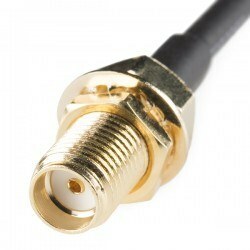 This is a basic SMA (Sub-Miniature A) male to female connector cable. 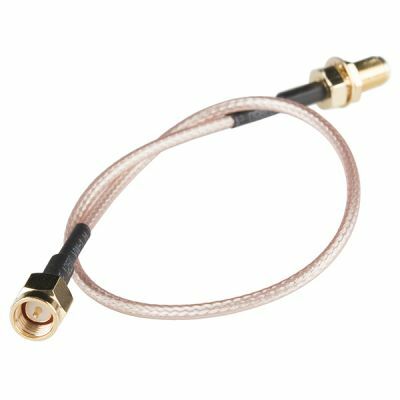 Each cable is 25cm (9.8") long and has a 50Ω impedance that can handle frequencies up to 17 GHz. The SMA connectors at each end are small enough for most consumer GPS, cellular, and other RF applications and they use a threaded housing to create strong mechanical connections. 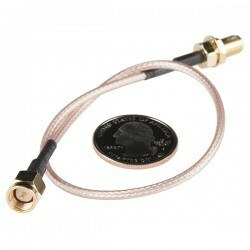 These work well for mounting an antenna to the outside of an enclosure, while keeping the electronics neatly inside.